We would all like to thank you for a wonderful experience last week on our dolphin tour! 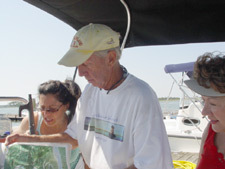 Not only did we enjoy the majestic dolphins but we truly enjoyed how knowledgeable you are! We all learned so much about the dolphins, the history of the island and its ecosystem. We truly appreciate how aware you were of the children's needs (and their limits!) and how you accomadated and included them in our tour, that is not something that you get with larger companies and did not go unnoticed! We all fell in love with Tybee and hope to return, we will not hesitate to contact you for another trip! We have already decided we would love to take a trip to Little Tybee! I am including a photo of Lucas, you absolutely made his day allowing him to play Captain! I just wanted to drop a quick note to you and say thanks again for such a great tour. The kids had a great time and I think the dolphins may have been the highlight of the entire vacation. I really appreciate how you made time for us on such short notice and I will certainly recommend your boat tour to anyone who visits the area. I just wanted to say thank you for unbelievable experience touring the lowlands of Tybee Island. We loved the knowledge you had of the area and the history as well. I think the best part of the trip was seeing all the dolphins and getting a deeper understanding of their habitat. The boat was amazing and comfortable. I wish we had another day to spend with you. Till next Time!! Meant to thank you before now. Your Sunday July 10 tour around the Savannah River and islands was a grand experience for me and my wife , especially since you met the challenge at the last minute, when the other tour captain was taken ill. Even tho we were your only travelers that afternoon (interested nonetheless) you put on a wonderful tour and made us feel right at home and in the know. 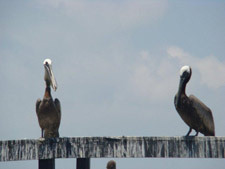 We have since recommended your intimate style cruise to many of our friends we left there on Tybee. Once again, please accept our thanks and a big salute to your cordial afternoon hospitality. We wish to thank you for the wonderful day on April 25, 2011. You took the time to find out what interested us and ensured we got to see everything on our list. Your knowledge of the region and wildlife was very informative. The fact you were willing to stop the boat so that we could take all the photos we wanted was greatly appreciated. Attached are a couple photos. Your respect for nature is commendable. We are already planning our return tour with you next year! Good luck with your light house project. We just wanted to say thank you again for such a lovely boat tour last week on Friday. We had such a lovely time seeing the dolphins and enjoying the marshes. We'll definitely recommend you! Thanks again for our awesome 4 hours with you in the middle of July. It was the highlight of our trip, and when we come back to Tybee it will be on our adjenda to take another boat trip with you. I'll spread the word to anyone who will listen! I've included some pictures from our time with you. My wife and I are writing to say thanks for the tour. It was a good few weeks ago now that Gemma and I were at Tybee Island on our honeymoon back in July. We're back in the UK now, but have had a great time telling everyone how much we enjoyed our honeymoon, especially the last bit we spent at Tybee! We were hoping there would be a section on your website where we could leave some positive comments, because we fondly remember what a great time we had on the tour, and would love to encourage other people to experience it as well. 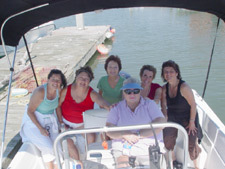 In any case, we wanted to express personally once again what a great time we had on your boat tour. What a wonderful time we had on our tour. You also gave us so much background history and information that made the tour more interesting. 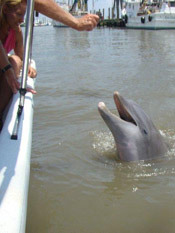 Best Dolphin Tour at Tybee. Beats any commercial tour going. This tour is highly recommended and should not be passed by. We want to Thank you and we will be seeing you again on our next vacation to Tybee Island. Wishing you all the best on your Lighthouse restoration project. 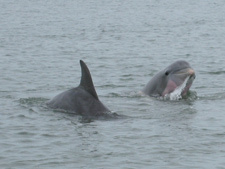 Thought you might want to see our picture of the pink bellied dolphin.! I'm writing to thank you for our wonderful "island cruise" 10 days ago. I was one of the 6 women who gathered in Savannah for a "Forever Friends" reunion. We all so very much enjoyed your boat tour. You were very pleasant and informative and gave us exactly the tour we hoped for. 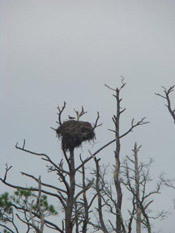 As a birdwatcher, I especially loved seeing the Osprey and the Bald eagle. Also the dolphins! I have attached 2 photos. I loved the whole Savannah experience and hope to visit again in the future. If so, I just may book another tour! You really know how to make a vacation complete and provide a view on the nature side of things. Bethany and Katlin really enjoyed the tour (I think almost as much as Kim and I did.) This is by far the best Dolphin Tour that we've ever been on. I have attached a couple of pictures and will burn the rest to a CD and give to Dod when I get back to Athens. Once again thanks for the great trip. Thank you so much for the dolphin tour you took us on. I didn't get a chance to thank you personally, as I went to get the truck and you went back to get a cap. I really enjoyed the tour, and you were very pleasant and informative about the island, it was the highlight of our trip! We all had such a marvelous time last Saturday. There was certainly a divine hand that led us to choosing you as our guide for our island tour. Not only did we have the opportunity to really see Tybee, we had an experience that allowed us to feel it's spirit. Not only did you share with us both history and current information that was fun to learn, you shared a genuine love for these lowlands and all that dwells within. One has only to pay attention, beyond your words, to see that you exude this love from the depths of your soul. Having dolphins swim up to us, seeing and learning about the pelicans, learning how to crab, and walking the sandy and remote beaches were made even more precious for our memory books by the gentle man that shared his home with us. We feel as if we met a new friend, and we sincerely thank you for your warmth and hospitality. I just wanted to let you know that we had a great time on Sunday. We saw exactly what we wanted to see - the natural landscape in all of its glory. Thanks so much for accommodating us. I know there's much more to see, and we'll be sure to give you a call the next time we're in the area. I'll recommend you to anyone I know traveling to the Georgia coast. Thank you so much. We had a great time even though we didn't get to see any of the dolphins. It made the voyage more interesting to know some of the history you told us about around the area. We will definitely be in contact with you on our next visit down. 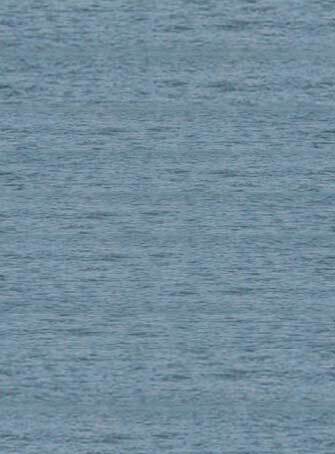 Maybe we'll see some of those dolphins when it's warmer out. Take care. Happy New Year! Thank you for letting me ride in your boat on my birthday. I enjoyed it very much. I especially liked seeing the dolphins. I'd also like to thank you for taking Ethan, my mom, niece, and Ted and Joyce out on Ethan's birthday. He returned just beaming and has talked about the trip many times since. I apologize for the delay in getting this note to you. Again - thank you for your time. You made a difference in a young man's life - on his birthday. I just wanted to send you a couple picture’s from our trip with you this past weekend, and tell you how much fun we had! We never imagined how great you were going to make the tour and exploration for us! We had the best Labor Day vacation yet, and it was definitely because of you! Thank you so much for the WONDERFUL time! And maybe we’ll be back to see you again! 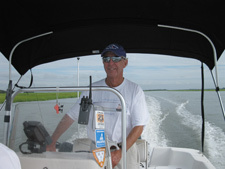 I would like to thank you for the great boat ride you took us on to see the dolphins, to Little Tybee and the beach area. Seeing the dolphins and traveling to such a gorgeous, remote section of beach was the best part of the whole trip for me and my mother. 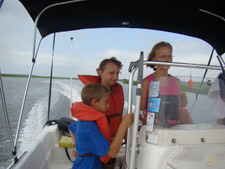 We had so much fun on such a relaxing, private boat ride – so unlike the commercialized tours. It really was the most exciting, unusual part of our trip to Savannah, Atlanta and Tybee Island. If you ever introduce a comments sections to your webpage let me know and I will write something up for you. 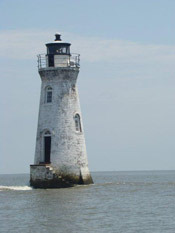 This site created and maintained by Tybee Island Online.